Presenting Gallan Goodiyaan video song from the upcoming romantic family drama Dil Dhakne Do which is a story of a typical dysfunctional Punjabi Mehra family. The song is a Punjabi number and shows whole Mehra family, which includes Anil Kapoor, Shefali Shah, Ranveer Singh, Farhan and Priyanka Chopra, in some real mood as they are shown shaking a leg on the dance floor with great zeal and energy.. 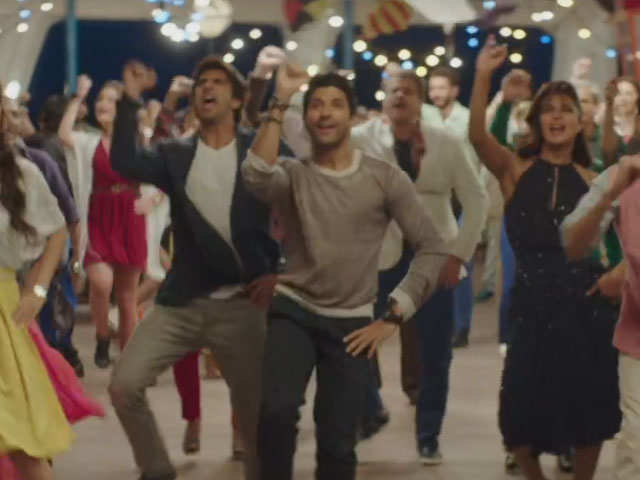 The peppy dance number is sung by as many as six people which are Yashita Sharma, Manish Kumar Tipu, Farhan Akhtar, Shankar Mahadevan and Sukhwinder Singh. It is composed by Shankar-Ehsaan-Loy and lyrics are written by Javed Akhtar. Dil Dhadakne Do is directed by Zoya Akhtar and produced by Ritesh Sidhwani & Farhan Akhtar and is presented under the banner of Excel Entertainment, Jungleee Pictures & Mirchi Movies Limited. The film features an ensemble cast of Anil Kapoor as Kamal Mehra, Shefali Shah as Neelam Mehra, Priyanka Chopra as Ayesha Mehra, Ranveer Singh as Kabir Mehra, Anushka Sharma as Farah Ali and Farhan Akhtar as Sunny Gil. I is slated to release on 5 June 2015.